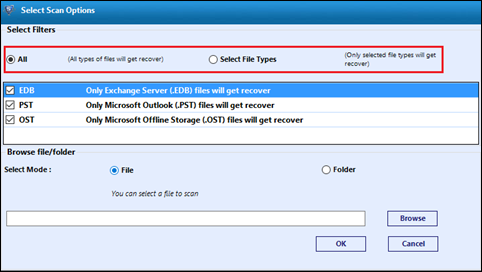 E01 File Reader offers users to view and read multiple E01 files. 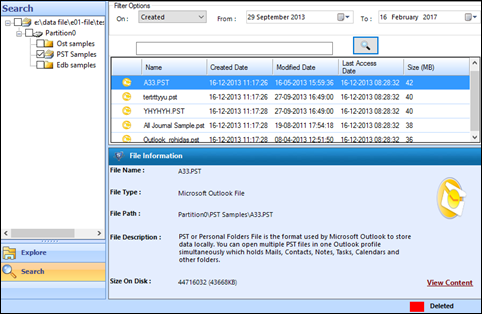 User can also preview the contents of multiple files by adding them to the tool. This adding ultimately results in mount of E01 files. Before adding, .eo1 files are first scanned and then previewed. 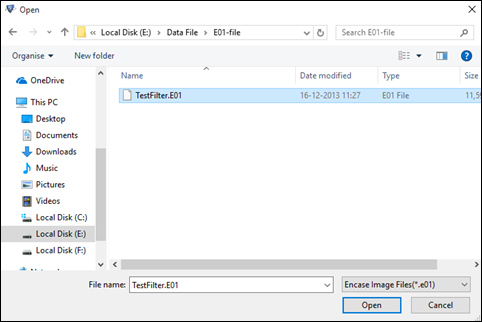 Once it is scanned, all the attributes like type of file, name of file, path of file, created date and size in MB are previewed using the E01 image viewer. Opening e01 files using this tool performs scanning process first and then loads the image files in batch. It opens multiple segments of files like E01, E02, E03, etc. User can also view status of files being scanned. 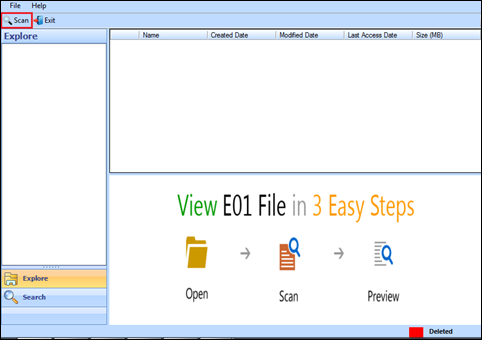 Free E01 file viewer lets users view all the file formats within the .e01 files like Outlook OST and PST files, and EDB files after scanning and loading process gets finished. There is a separate viewer to view every type of file. E01 Viewer has a searching option that resembles to the option in Windows. By this viewer, user can search for any text, extension, etc. 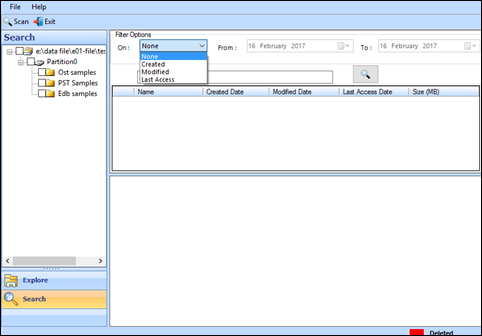 Even searching according to period of time can also be done by this adept tool to open E01 file Encase. E01 files may have a duplicate replica of logical or physical replica of any system. When user will open E01 file with E01 Viewer, having the full image of logical drive of system. 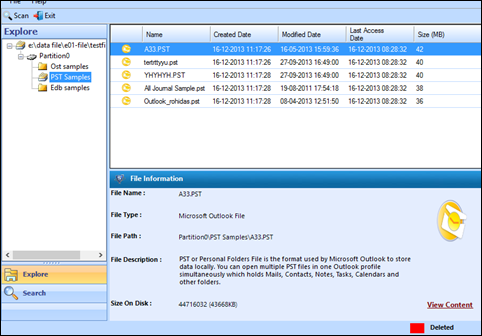 Tool shows all the partitions and content in its original form. Will this E01 File Viewer run on my Windows 8 OS? Yes, this tool is a Windows based utility that read E01 files on all versions of Windows like 10, 8.1, etc. Is this software totally free for reading .e01 files? Yes, this freeware is an entirely free utility to open and view .e01 files. You do not have to pay for it even later. I am having one E01 file created by FTK Imager. Will this tool open the E01 file? Yes, this tool will view .e01 files of digital forensic imaging tools like EnCase, FTK Imager, etc. Does this software allow adding of multiple E01 files at a time? Suggest me how to open an E01 file in encase. Yes, the tool can add many E01 files at a time. Just create a folder having all the files and process further. If I open my image encase file using this tool, will it preview my corrupted files? Yes, you can easily get a preview of even the corrupted E01 files with the help of this software. Download and launch E01 Image Viewer. Then, Click on Scan option in the window that opens up. Next, select filter options for scanning and select files after browsing them. Also, specify file or folder option. After the .e01 file gets loaded, click on Open option to open the encased image file into the E01 file Reader. Now, software will preview all types of files. after scanning process gets finished. User can use Search tab to look for a file or filter search by choosing any of thew given options. 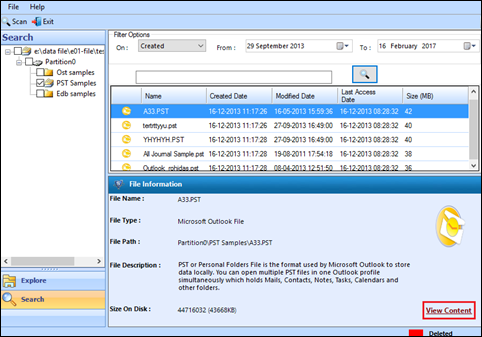 User can also view the complete file information like file Name, file Path, date, size, etc. by clicking file from preview list. 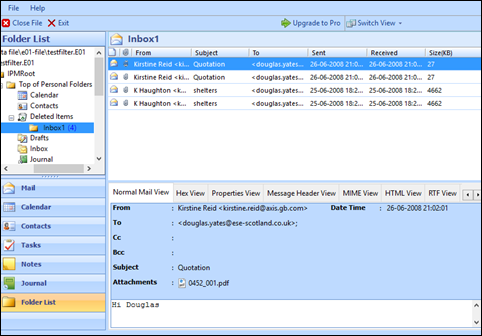 Click on View Contents to see the complete email contents and to view E01 Encase image files. 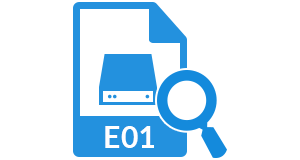 Finally, user can click and view E01 files to examine files forensically by choosing the suitable options. "Free E01 Viewer application has invariably proved itself as the best-suited means for beginners who are looking for a solution on how to open an E01 file in encase. It lets users open and read E01 files on Windows. I used this application for accumulating evidence from an E01 file, which was under suspect. This E01 File Reader has such an easy-to-use access that within a very short duration of time, I was able to analyze and examine E01 file in a flawless manner and without any interruption. It even showed compatiblity with my E01 file without any complexity and loaded all content of initial E01 file in a few minutes. Thanks a lot to the team!" "I was given a E01 file, which comprised of multiple logical files within it. The size of my E01 file was 6.2GB So, I was surfing for an application that could support files of such enormous size. I kept on finding a lot of tools but all those programs needed to be purchased for viewing E01 files. None was a free tool. Then, luckily I came across this freeware. IT allowed me to view me to read E01 files of such size without any investment. It was no less than a blessing for me. Thanks a bunch!"